Say hello to 2017 in style! 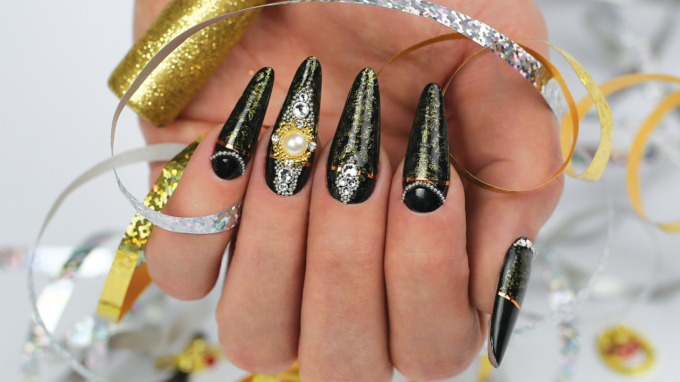 Become the life of the party with these New Year's Eve-themed nails! To maximize their golden splendor, hold a glass of champagne at all times. 1. Apply two coats of Royal Gel R7. Buff the nails with the Half-Moon Sanding #100/180. Apply Skin Guard Liquid Skin Protector onto the skin around the nail and onto the parts of the nail you do not intend to stamp. 2. 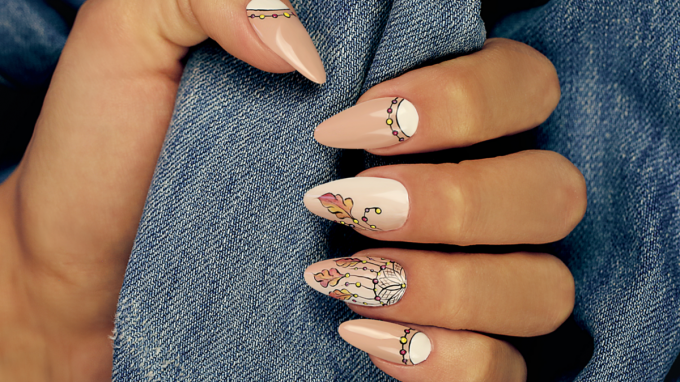 Use Baroque Gel Shiny Gold for the stamping pattern and cure it for 1 minute in a LED lamp.